FRIDAY, April 1, 2016 (HealthDay News) -- A proposed limit on "inorganic" arsenic in infant rice cereal was announced Friday by the U.S. Food and Drug Administration. Infant rice cereal is a leading source of arsenic exposure in babies, the agency said, since arsenic can find its way into rice from natural sources or from fertilizers and pesticides. The proposed limit is 100 parts per billion, which is similar to the level set by the European Commission for rice used in the production of food for infants and young children. Most infant rice cereal currently sold in the United States either meets, or is close to, the FDA's proposed limit, the agency said. "Our actions are driven by our duty to protect the public health and our careful analysis of the data and the emerging science," said Susan Mayne, director of the FDA's Center for Food Safety and Applied Nutrition. "The proposed limit is a prudent and achievable step to reduce exposure to arsenic among infants," she said in an FDA news release. Inorganic arsenic exposure in infants and pregnant women may lead to a child's decreased performance on certain developmental tests that measure learning, the FDA noted. In a statement, the American College of Obstetricians and Gynecologists applauded the move. ACOG President Dr. Mark DeFrancesco thanked the FDA "for its thoughtful analysis of arsenic in rice and rice products and its potential health impact." He said, "ACOG guidance will remain the same: Ob-gyns should continue to advise women to eat a variety of whole grains. For pregnant women, half of their grains should consist of whole grains." Arsenic occurs naturally in the soil and water, but it also comes from fertilizers and pesticides. There are two forms of arsenic -- organic and inorganic. The inorganic form is more toxic. Rice has higher levels of inorganic arsenic than other foods. One reason: As rice plants grow, they tend to absorb arsenic from the environment more than other crops, the FDA said. 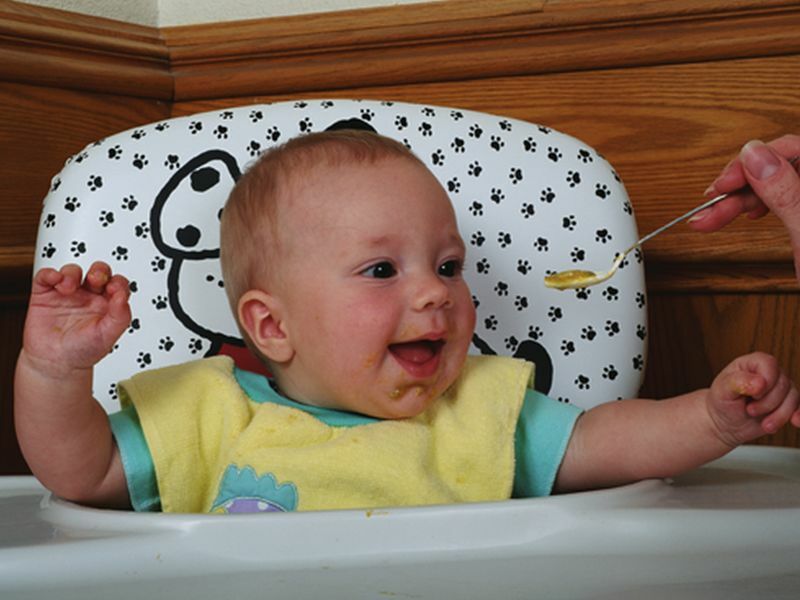 Infant rice cereal is widely used in the United States, and the FDA offers advice for parents and caregivers of infants. Babies should be given iron-fortified cereals to ensure they are getting enough of the important nutrient, but iron-fortified rice cereal is not the only option. Other iron-fortified cereals include oat, barley and multigrain. Toddlers and pregnant women should eat a well-balanced diet that includes a variety of grains, the FDA said. It's estimated that exposure to inorganic arsenic in rice and rice products causes an additional four cases of lung and bladder cancer over the lifetime for every 100,000 people in the United States. This would be much less than 1 percent of all lung and bladder cancer cases in the nation, according to the FDA. The agency noted that research has found that cooking rice in excess water -- six to 10 parts water to one part rice -- and draining excess water can reduce inorganic arsenic levels in the rice by 40 percent to 60 percent. However, this method may remove some important nutrients, the FDA said. Public comments on the proposed arsenic limit will be accepted for 90 days.